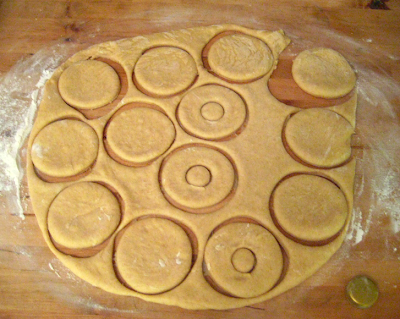 At Home At Home: I made donuts! I finally took an evening and made some donuts! It was my first time working with yeast (it's always kind of intimidated me)and I'm not sure I let the dough rise enough before I put it in the oil. I also got the temperature better towards the end of the frying and so the last doughnuts were the lightest and the best (I had it too hot at first). Overall it's kind of a lot of work for doughnuts, but it was immensely satisfying to understand how it all works (it's also great to see the doughnuts pop into doughnut form as soon as they hit the oil, who knew?). 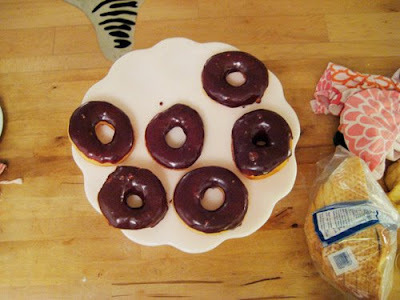 So yes, I made donuts, And you can too! I have always wanted to make those! Where did you get the recipe? 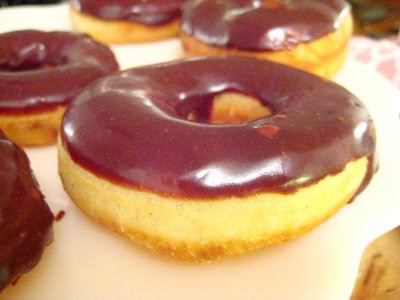 I'd love to try making homemade donuts! i've been dying to try donuts (and scary yeast!) for months now! so glad you made it happen for yourself. they look great! 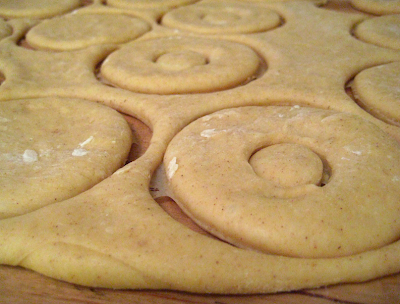 i'm also intrigued by heidi swanson's recipe for baked cinnamon donuts... yum! they're gorgeous! i want to make donuts! Make them and tell me how they turn out for you. My boyfriend did admit that they turned out way better than he had expected. In case you couldn't follow the link, the recipe is right here.